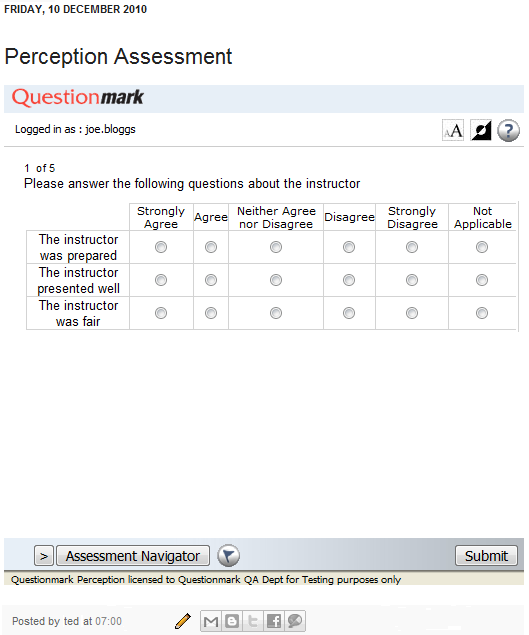 Embed a Questionmark Perception assessment, survey or quiz within an E-Blogger blog. To see how this would look, see a snapshot of an assessment embedded within an IFrame using E-Blogger. E-Blogger is a free weblog publishing tool from Google, for sharing text, photos and video. It is possible to display an assessment in this blogging platform by embedding the html code of your assessment in an IFrame. 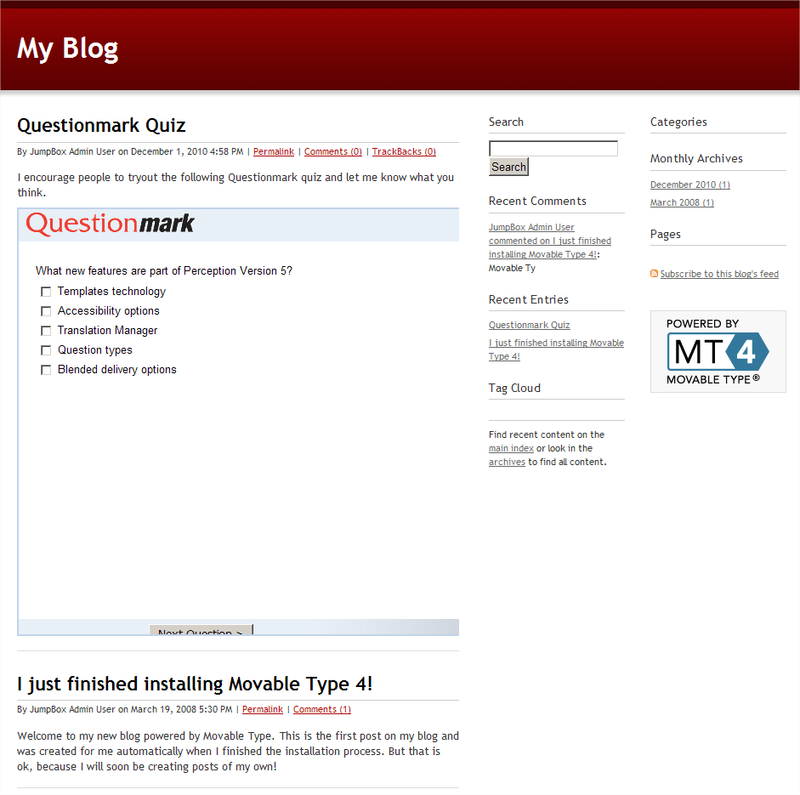 Embed a Questionmark Perception assessment, survey or quiz within a Movable Type/TypePad blog. To see how this would look, see a snapshot of an assessment embedded within an iframe using Movable Type/TypePad. Movable Type is a popular weblog publishing system developed by the company Six Apart. TypePad is the hosted version of MovableType. 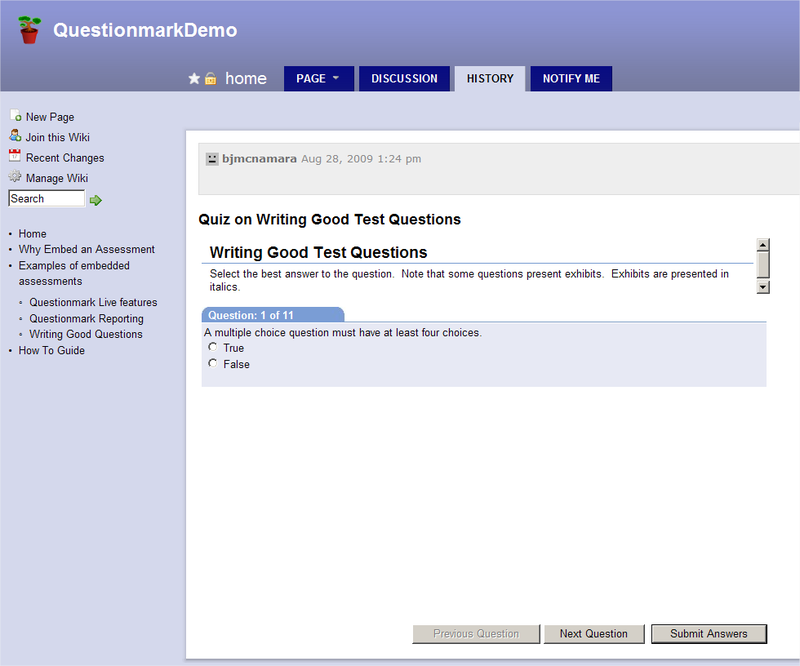 It is possible to display an assessment in both versions of the blogging software. 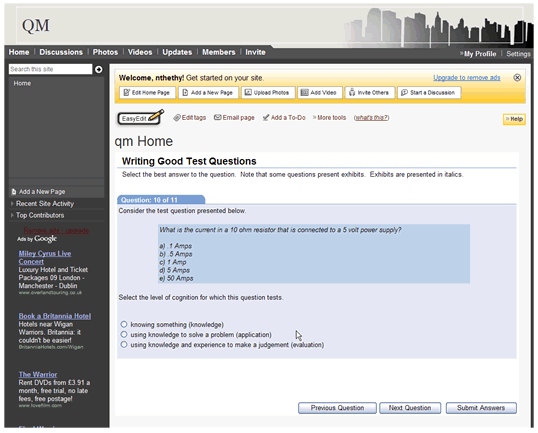 A Questionmark Assessment will have to be embedded in an IFrame in order to be published in the blog.